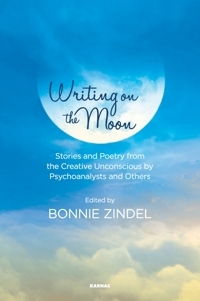 Bonnie Zindel, LCSW, is a psychoanalyst in private practice in New York, and a faculty, supervisor, and training analyst at the National Institute for the Psychotherapies. A founding editor and Creative Literary Editor of Psychoanalytic Perspectives, she is the author of numerous articles on creativity. Bonnie is a former member of the Actors Studio Playwrights Unit and has conducted writing groups for psychoanalysts for over twenty years, as well as writing workshops at international conferences in Rome, Madrid and San Francisco.